1- Set a specific time to write: whether it is in the morning or late at night, set some time for you to write. It isn’t enough to just write when the ideas comes to you, you need to actually write. 2- Find somewhere comfortable to write: be it in the bedroom or in the office. Find somewhere that works for you best to get some writing done, let it be somewhere away from distraction and noise. 3- Keep in mind that you’ll have more ideas when you revise and edit: this is an important way to generate more ideas. So don’t be afraid to write a first bad draft. 4- You’re the most important tool: don’t get too distracted looking for new tools to improve your writing. although writing tools can be of a great help, bear in mind that, people used to write even before papers, typewriters and internet. 5- If you’re stuck, read a good book: it’s the best use of time when you can’t write, for it’s an investment for your writing, you not only will be able generate new ideas, but also learn from others while exposed to their different techniques of writing. 6- Create a deadline: you’ll be amazed at how much, pression can get you to do. It’s ironic, but we seem to get more done when pressed with a deadline way more than when we’re working on our own pace. 7- Write about something you love: it’s important to write about something you can relate to, something out of your experience, something you love and know enough about. This would definitely make the writing process remarkably more enjoyable than when you write about something you can’t relate to. 8- Research about what you’re writing about: it’s important to be well informed about the subject you’re writing about. See what others are contributing regarding that subject and that way you’ll be able to add a value. Don’t start from the zero, start where others had stopped. 9- Be a good reader: before writing, read. It’s important to invest in yourself because that’s all that counts when writing. Reading can effectively expand your mind. It doesn’t matter what you’re reading about, just read. 10- Set some realistic and achievable writing goals: that way you’ll get more motivated to get more writing done. 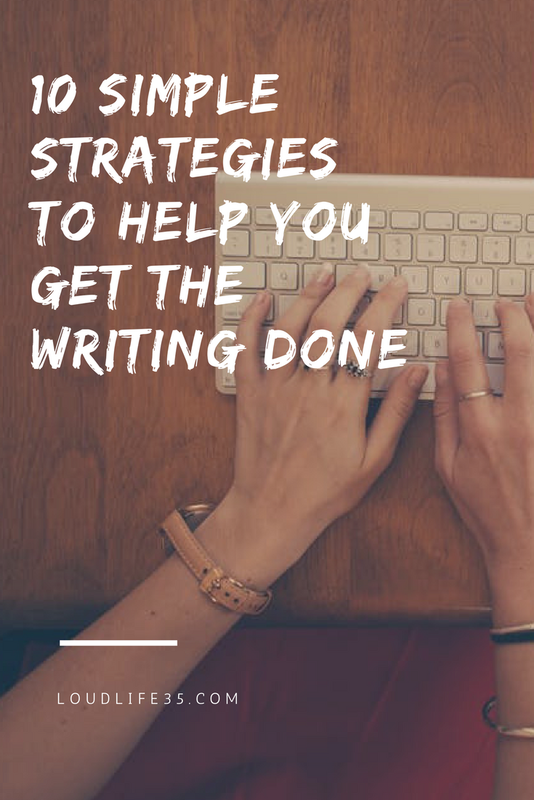 Whether it was an article, a book that you wanted to write, these tips should help you get your writing done. However, you’ll have to try different ways until you find what works best for you.